I studied marketing enough to understand one simple fact - you can't create anything good if you don't like what you're doing. The first and foremost principle of Beamdog is to create games that the developers love. This is why it has been about D&D and Axis & Allies till this point. According to the latest interview with Trent, Beamdog "reached the end of the line on the titles we wanted to do personally". One of my pet peeves is the implementation of the int requirement to scribe scrolls. Per PnP the correct way would be a int requirement to cast spells, which is much more meaningful and strict. Now you just circumvent the limit by passing around the Golden Ioun Stone or by drinking Potions of Genius. So now it is just annoying busy-work, instead of actually adding something to the game. According to Beamdog this was fixing a bug, as the restriction was there but not working. But who knows if part of the original team did not decide to leave it out when they tested ToB (the first time the restriction would have mattered for NPCs), when they thought about it would add little more than annoying the player? Actually, you're wrong. 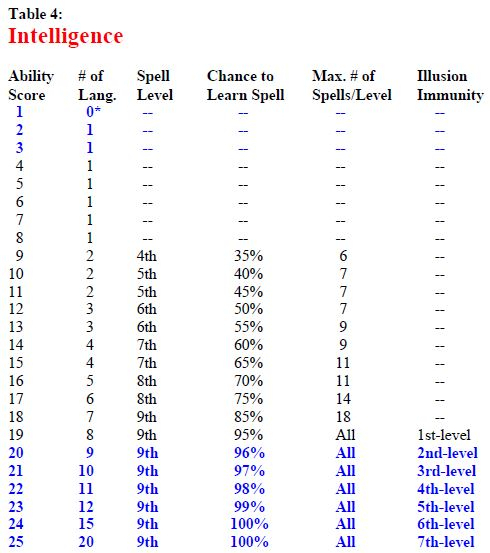 In PnP Intelligence serves to determine which circle of spell you may cast, your learning chance and the number of spells per circle you can have. I didn't say the maximum level of the spells you can cast was the only thing it affects. What you are saying is completely consistent with what I did. Though I think I how you misunderstood me. Of course, that Int affects the chance of scribing is completely correct per PnP, and was always implemented in BG. However, BG:EE changed it from the original so that you can't scribe levels at all if your int is low, but like the original games still allows you to cast them after you learned them using some sort of positive int modifier. That's a romanticized view of Marketing, but I can understand that. And the main problem is not Trent picking their games to satisfy his inner child, but how he handles his toys. Taking NWN:EE as an example: he pretty much said that Full Party Control is off the table because he doesn't see the game being played that way, even with the community claiming for that - and being an urgent need for a game with such a stupid AI. As for A&A, your own words give ground to my argument: too many titles for too many platforms. I understand the need for revenue, but again there are other ways to develop that (even the console ones, can be profitable even if I think that the timing was bad). Beamdog has an army of players wanting a D&D title and what is provided is something completely out of this sphere. The reason? A&A touches Trent's childhood. Will A&A be done from the scratch? If so, why not go after IWD2EE as it is way more required here (I think it is insane to require new games from Beamdog at this moment, but I'm trying to analyze things beyond my PoV). If not, why not go after Return to Windspear? And let me be absolutely clear about one thing: I think you do a helluva damn good job managing this community. When I say about marketing problems I include people who can actually solve the problem leaving you alone here with all the criticism. I think I can't contribute more to that thread (at least about this topic), so I'll finish my part in it. I am still happy the EEs exist - and I know that there other players like @subtledoctor who unlike me think the gameplay should have been changed more, while I personally prefer staying true to the originals and 2nd edition AD&D. In fact, how much Beamdog took from 3rd edition is another pet peeve for me. Admittedly, I am not even a fan of Sorcerers. trying to figure out a way to mod level limits into the game. You mistaking me for someone else, perhaps? On Beamdog and 3rd edition: Shadow Dancers, Red Dragon Disciple, Dwarven Defenders. Itemization in SoD with more +x to stats than set stat to x & also large number of items with boni to specific classes. More spontaneous spellcasters (though Bioware started that one with sorcerers). Regarding you personally I was looking at the Scales of Balance mod and was referring more generally to large gameplay changes not 3rd edition specifically, just large gameplay changes like giving armors dex penalties and DR, higher APR boni for specs. But speaking of 3rd Edition: the rebalancing of the stat boni and the spell slots for high intelligence feel 3rd Editionish. Not to speak of concentration checks to avoid spell casting interruption. I don't really care that much about what new titles Beamdog is going to develop going forward. If you—meaning Beamdog, not you personally—only make games from now on that I wouldn't want to play, I'm perfectly fine with that. Sure, I'd love it if you made IWD2:EE, and sure, it would be awesome if you made more content for BG:EE and BG2:EE, but I already have plenty of excellent games to play from other developers that are right up my alley. You don't owe me any new games. I'll be fine either way, and I won't hold that choice against you. I do, however, hold it against you that one of the game updates you've released (which is mandatory on your setup on almost all platforms) introduced a host of issues in some of your games that severely limited my personal enjoyment of those games, and despite many of your customers having given you similar feedback over the years, not only have you ignored us and failed to address these issues in almost 3 years, but you've also put out a statement that we shouldn't expect to see any fixes for a while. And all that despite statements made back in 2016 that you'd be looking into improving the new UI. A lot of us gave our opinions and suggestions in the "Making it work" threads spurred on by your promise that our feedback would be considered, and the implicit conclusion that at least some of it would be implemented going forward. That whole initiative went nowhere. Gosh, what's up with all you people? That's why I find it confounding that anyone would be surprised when some of your customers express their dissatisfaction with your actions when it's clear that you've ignored the wishes of those same customers for a very long time. Given that different people prefer different EE options, what would really help in my opinion is if the Steam client gave a wider choice of game versions to use via the beta option. Last time I checked there was one older version available, but it was not a complete offering of major previous versions. This would also help for those of us who play with mods, as it is hard to avoid forced updates with Steam. If that's the solution Beamdog chooses, they should also do the same on other platforms and storefronts. Although I'd be very careful with suggesting something like this, as it could cause a version plurality nightmare in the modding sphere, making it even more difficult for people to fully enjoy those games if they're inclined to mod them. One of the potential reasons. You can't know for sure. From a neutral standpoint, there might be other reasons. About FPC in NWN - Trent is the creator of the game, after all. The creator has full rights to think this or that about the creation. Thanks for your personal words. Maybe, but it an issue anyway. GoG users can have any previous version lying around even now. Certain mods are just not updated for the newer versions. And it is just super annoying if a new version drops in the middle of a walkthrough. Customers (after 2.3) wanted to see a lot of wishes granted. A shaman in IWD:EE. A fix for the Blade's spin. A fix for item duplication. A helluva amount of Multiplayer fixes. Adding German and Polish translations. I can go on with this list for a long time. And those customers' wishes have been heard. Because Beamdog is listening to its community and has always done so. The amount of wishes, though, make it so that in the end the developers are in front of the backlog of several thousands of requests which they have to triage and pick what will form the patch. I'd accept that argument if we were talking about any old feature request. But my specific gripe comes from a series of bugs that were not in the game before Beamdog decided to remake the entire UI from scratch. When you call your game "Baldur's Gate: Enhanced Edition", I actually do expect all parts of the game to at least not be objectively worse than they were in the original game. Which they are, when we're talking about bugs that you've introduced in the UI. In other words, it shouldn't take you 3+ years to address regressions. Do you call the UI in the 2.5 version as the one being objectively worse than the original UI? On which objective reasons is this statement based? Maybe it should be called - in this context - subjectively? I can call parts of the UI objectively worse than the original UI. You know, the bugged parts. I think one of the issue is that it feels like every patch introduces new gameplay and engine feature, and also changes the UI in some way. It's no wonder that every new patch not only resolved bugs, but also introduces new ones. I feel it would help to have smaller patch with a more specific scope. this is why i started just playing the game outside of steam in a copied folder and modding that. Though there are still bugs like Ranger Stronghold bug and pathfinding issues, I think there are not many of them. I'm not sure what you mean by the pathfinding issues, but on my recent replay of BGEE (current patch) I've run into an issue where party characters would bump into each other and get stuck, because they'd both end up standing in the same space. And I was playing a party of two. Ok, now I swear I'll drop it, but I can't let this go unnoticed. NWN is not a Trent brand, it is Bioware's. As it is now not Trent's, it is Beamdog's. That is exactly the point I'm raising here as a critic towards Trent's posture. He acts as he owns the game, not as he is the representative of a company that owns the games. And that is very unprofessional, to say the least. Now I promise that I'll save my thoughts to myself, as it can't be clearer than this. Even if he were the sole creator of the game it would only really matter if he is keeping it to himself. Otherwise customers are free to express both their dissatisfaction and their intent not to make further purchased based on these decisions. Haha, that's exactly what I mean. Now try that with 6 people and watch the fun of all 6 trying to get on top of each other. It gets worse when some of them have Boots of Speed. The fast ones keep trying to push the slow ones out of the way. I have never and would never advocate Beamdog implement that kind of stuff in the game. I would much rather have a game that is more faithful to 2E - eliminating the Blackguard, Sorcerer, Monk, etc. - but which is more moddable so that I can ally my own house rules to the 2E system (which is something tabletop 2E very much embraced). I'm not sure if we're talking about the same bug. What happened in my game was that the characters would run into each other, and would end up with their circles overlapping and sprites displayed in the same space. As a result, neither could move. I've seen this bug before, in ye olde times of BGtutu, when multiple enemies would spawn on top of each other. How many of you have actually played the original? When the enhanced editon first came out, it was otherwise faithful to it in terms of the interface, etc. When I see it now, it just feels like some bizarro knock-off you'd get as a mobile app. You actually liked the hideous gray stone interface of the original? I wouldn't call the current BG:EE UI a marvel of design (too black, almost Windows 10 flat) but I'd still take it over the old one. Add me to the list of people who preferred the "hideous" grey stone interface of the original. I think it looks just fine and fits the atmosphere, look and feel of the game better. As well as a lot of other graphics that were replaced with new or BGII assets. (Still wish I could play with the original character sprites, even if I can't dual-wield) I still love BG:EE because it's about 100x more stable than vanilla, and I appreciate what Beamdog has done for the most part, but the interface is definitely out of place. BG1's interface is not only visually and thematically consistent with the visual identity of AD&D/Forgotten Realms sourcebooks, but also contrasts well with the game world. A good part of BG1 is spent exploring colorful wilderness scenarios, full of grass, trees, water and dirt. The gray stone textures might look bland at first, but make the UI too colorful and you'll get a game that strains your eyes. I'm not saying it's a sin for videogames (of all things) to go heavy on the colors, but as opposed to most other genres, a significant portion of gameplay in cRPGs involves reading. There's got to be room for resting your eyes. By the way, this thematic consistency is true for every other IE game. The original Icewind Dale spends a lot of time in the snow (with the exception of the quest hub of Kuldahar, where there's a lot of green). The UI goes for a wooden style, which contrasts with the white wintery landscapes. In other words, in BG you have a cold UI for a warm world, and the opposite in IWD. Planescape: Torment is a weird game set in a weird scenario. The UI looks outerwordly and screen elements are constantly positioned in a circular fashion, which is also thematically consistent with the setting (Sigil is shaped like a disc) and the story (the neverending cycle of life and death). It also looks rusty and it's full of spiky adornments, making you feel like a Sigil citizen, under the constant threat of the Lady of Pain (who, as you may know, is basically a floating Iron Throne from Westeros). As of BG2, this post by Adul explains how the weird half-elvish/half-byzantine style is well-suited for the game. There is plenty of room between "too colorful" and that unflattering stone. The perception of a color is dependent on the surroundings and that grey was not doing the background art any favors. BG2's ui color scheme was a big improvement, imo. That is all wildly subjective, and we can agree to disagree on it. Normally I don't have a strong opinion on these cases, but I think some folks are underestimating the complexity of the nature of bugfixing. But in computer science, tweaking a program is much more complex because the parts don't work independently of one another. Computer scientists routinely run into traps where fixing one bug creates another one. It's actually one of the biggest reasons why coding is such a time-consuming process. Worse yet, there are multiple potential methods of fixing a bug, each of which has its own cascading effects on the rest of the code. I'm not exaggerating here, and this problem isn't isolated to rookies who don't know what they're doing. Any programmer should be able to tell you of the countless hours they've lost because fixing one bug created a new one. It's kind of an old joke among computer scientists. For modders like me, bugfixing is as simple as tweaking a file or fixing a typo in a single line of code. But for developers and programmers, bugfixing involves changing the source code itself, and that requires a lot of QA testing and other time-consuming chores to make sure you're not making things worse. After all, once you have a functional program, there are a lot more ways to break it than to improve it. Plus, if you don't invest in lengthy QA testing, you can generate "technical debt"--quick, easy code changes that fix a certain bug, but also make the code more complicated in the long run, and therefore more prone to bugs in the future. This is true for any company that deals with software. Bugfixing involves a lot of grunt work (unless you're really sloppy and don't care about technical debt or cascading bugs), and I think part of the difficulty is that Beamdog has relatively few people to do that grunt work.